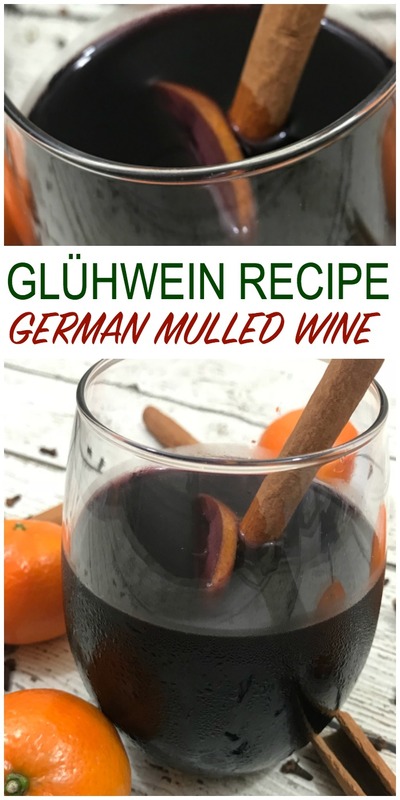 Glühwein, Glögg, Mulled Wine – whatever your name for this German and Scandinavian spiced wine recipe is a must try this Holiday season! When the weather outside is frightful, and the fire is so delightful…there’s nothing better than curling up with a cup of mulled wine! Glühwien, as it’s called in Germany and Glögg in Scandinavian countries is a spiced wine, or mulled wine, served hot. In the cold darks months of winter it’s no wonder this spiced wine recipe is such a hit! The simmered wine infused with citrus and spices will warm you from the inside out. As this German spiced wine is typically reserved for Christmas, it is the perfect hot beverage to serve at your Holiday party. 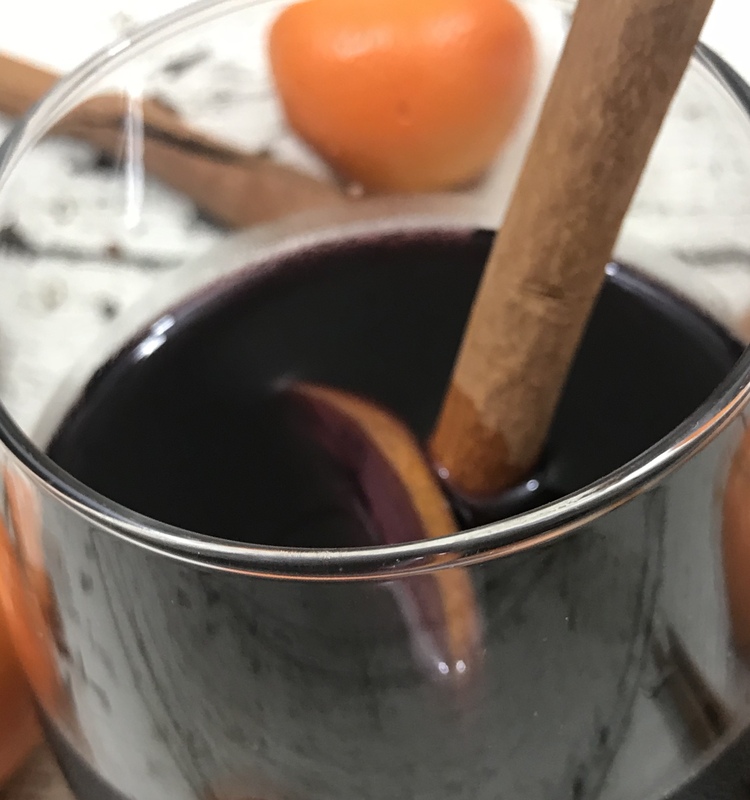 I make my mulled wine in the slow cooker to keep it warm throughout the evening and make it easy to serve. This recipe is just for adults though as it is an alcoholic beverage – please drink responsibly! 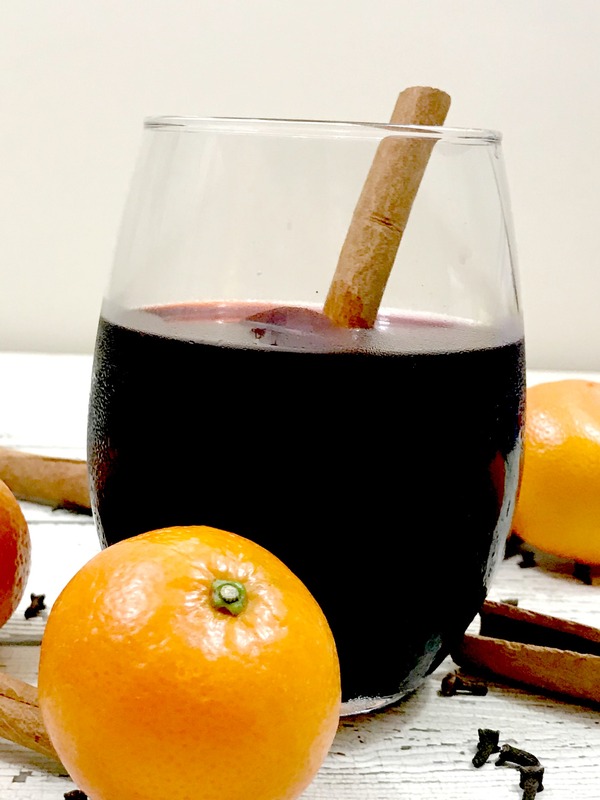 Some mulled wine recipes call for just wine, citrus and spices while others add an extra kick with rum or bourbon. What do I add to Mulled Wine? Options for spices for your Glühwein include; cinnamon sticks, whole cloves, whole allspice berries, and star anise pods. You can even add a vanilla bean! You want your spices to be in their original whole state and not ground so that you can infuse your wine with their flavors without having a gritty consistency. For citrus I typically use oranges but you can add clementines or lemons as well. Choose a wine depending on your palate. If you like a robust flavor, use a Cabernet or Pinot Noir. Want your mulled wine to be a little sweeter? Pick a sweeter red table wine or a wine with berry infusions. 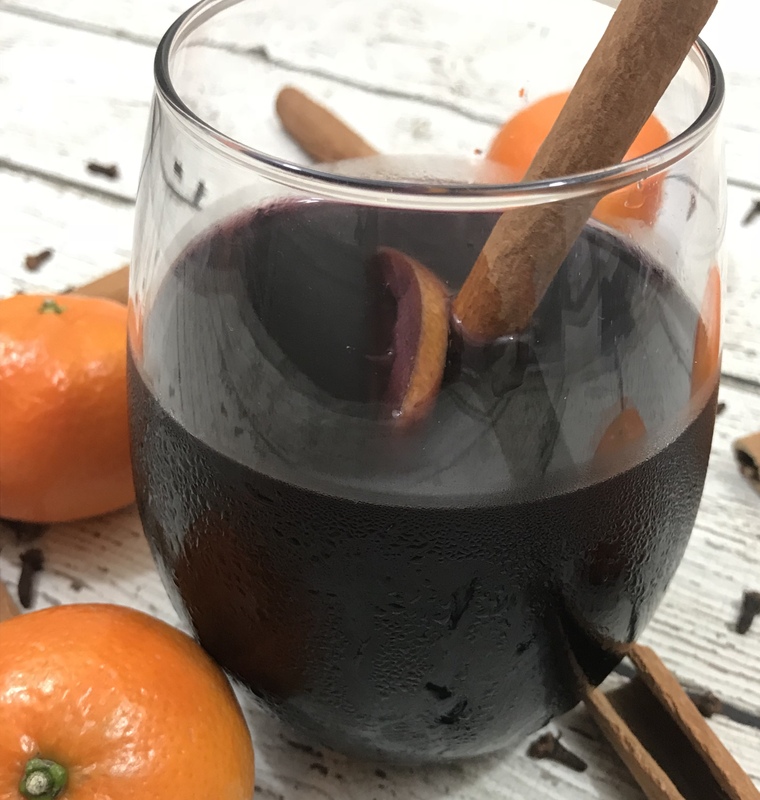 When making mulled wine much of what you add to the recipe depends on personal preference but I like to keep it simple and use ingredients that are always easy to find. Do I need a special mug for Glühwein? Well you don’t NEED to use a special mug for your mulled wine but isn’t it fun? When serving your mulled wine, or German spiced wine you definitely want to use a glass or mug that is meant for hot beverages. If you really want to be authentic in serving your German mulled wine at your Christmas party then you can use a German Gluhwein Mug. Combine red wine, sugar and water into your slow cooker. Whisk so that sugar is dissolved. Add in your spiced rum, citrus and spices. Cook on high 1.5-2 hours.